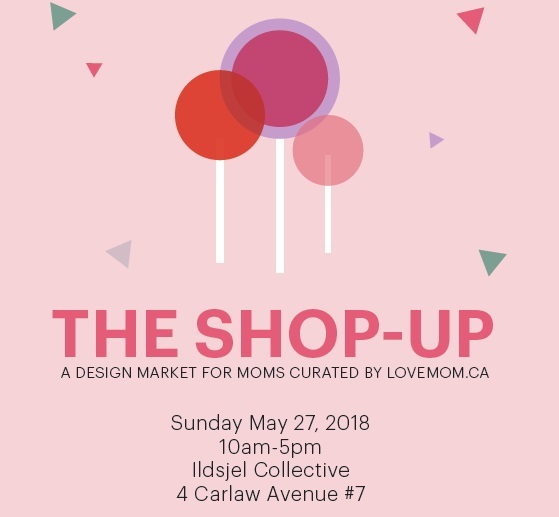 Home \ Best of Leslieville \ Check Out “The Shop Up”- A Mom Pop Up Shop This Sunday! Welcome to The Shop-Up, a design market curated by LoveMom.ca for busy moms like us who are always looking for the next best thing that’s right under our nose. We’re bringing chic and conscious must-haves to outfit your home, life and style under one roof to make shopping local that much easier and enjoyable. We’ve edited down our much-loved brands to just a dozen labels and each one is stylish, thoughtful and made with design T.L.C. Parking is free and kids are welcome: Enjoy the Harbour Café, games room and activities will all be on-site so the whole family can come along.